Need to lose 10 - 20 pounds? Need to lose 20 - 50 pounds? Need to lose 50 + pounds? 2 Charlotte NC area locations specializing in medical weight loss and wellness! 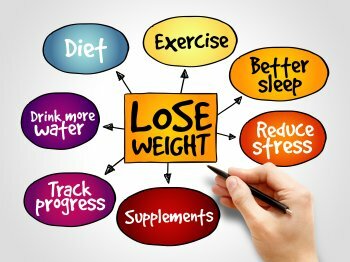 With 2 medical weight loss clinics around Charlotte, NC, Learn2Lose Medical Weight Loss Clinics offer the tools and guidance you need to achieve your weight loss goals. Whether you need to lose 10 pounds or even 100 pounds, We Can Help! We’re a Charlotte, NC based medical practice specializing in medical weight loss solutions and other cutting edge services. We understand that you have many options when choosing Weight Loss Services! Many of our patients come to us after trying a variety of programs, both medical and non-medical. We offer safe medical weight management services in a very personalized, non-judgmental environment. We obtain lab work to rule out other medical causes of obesity and perform EKG’s, when indicated, to ensure safety. Your medications are reviewed to make sure they aren’t part of the problem. We get to know our patients and offer guidance throughout the weight loss and maintenance process. The professionals at Learn2Lose spend quality time with every patient. We explain the medical aspects of obesity in plain and simple language. We offer you the tools, knowledge and guidance needed to assist you in achieving and maintaining your goals. Check out our medical weight loss reviews. Our medical weight loss clinics are conveniently located to South Charlotte, Matthews, Waxhaw, Ft. Mill, Lancaster, SC and Indian Land, SC. Dr. David Croland has been helping his patients lose weight since 1995. Using his clinical expertise in family medicine and bariatrics, he will design a weight loss and maintenance program that is right for your weight, your health, and your lifestyle. Prescription medications to help control appetite while you make important dietary changes, medical meal replacements to increase protein and control calories, exercise recommendations, and injection options such as Lipotropic injections. Learn to Lose at one of our medical weight loss clinics. Check Out Some Learn2Lose Medical Weight Loss Reviews! For more weight loss related information, see our Weight Loss Blog. But We Offer More Than Just Medical Weight Loss! Check Out Learn2Renew To Learn More About Medical Aesthetics, Sexual Health and Wellness Treatments Beyond Medical Weight Loss Solutions! At Learn2Renew, we believe that looking your best is an important part of physical and emotional wellness. Dr. Croland has received advanced training on the administration of Botox, Dysport and dermal fillers and has been performing non-surgical cosmetic procedures for over 20 years. PRP is used to heal and regenerate cellular tissues and restore collagen. Platelets release growth factors that repair damaged skin and help reverse signs of aging. Vampire Facelift, Vampire Facial, O-Shot, P-Shot and Breast Rejuvenation are some of our PRP procedures. The O-Shot® and P-Shot®. These procedures utilize Platelet Rich Plasma (PRP) from a patient’s own blood that is injected into specific areas. PRP technology has been shown to increase blood flow and enhance sensation for men and women, and often markedly improves urinary incontinence or leakage in women! You’ve heard it over and over again: the secret to weight loss is to take in fewer calories than you burn. That means you have to eat fewer calories, burn more calories through exercise, or do a little of both. For many people, eating fewer calories is difficult because diets leave them feeling hungry and unsatisfied. But what if there was a way to eat fewer calories without eating less food? During your medical weight loss program in North Carolina you will be focusing on making positive lifestyle changes that will be beneficial for your weight loss journey. Although dietary changes will be key, you will also need to focus on finding an exercise program that you can incorporate into your new routine. 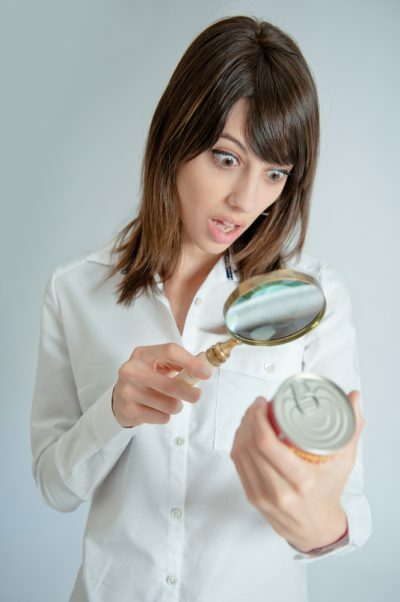 Food labels can be found on the back of just about any packaged food or drink. Food nutrition labels are a great way to keep count of calories, but did you know that they can help you keep track of all the nutrients in your food too? Nutrition labels provide you with in-depth information, such as serving sizes and the amount of sodium, fat and fiber in your food. New Year, New You – Purchase Now! Save $20 Off Your Initial Weight Loss Visit with Online Purchase! Expires Soon!